On Wednesday afternoon the 43-year-old former Manchester United winger was backed in from 25/1 to 1/5 with some betting companies to replace the departed David Moyes at the Stadium of Light. However, sources close to Giggs have told Press Association Sport that while the Welshman is ready to talk to clubs about opportunities, he has "categorically received no approach" from the Black Cats. Sources on Wearside too played down speculation that they were about to make an appointment as books fast approached the point of being closed. The club is looking for Moyes' successor after the Scotsman resigned last week following a disastrous season which ended in relegation from the Premier League. Giggs has been mentioned in dispatches, with disgruntled supporters hoping for a fresh start after a chaotic period in Sunderland's recent history which has seen eight different managers occupy the hot seat in the eight-and-a-half years since Roy Keane vacated it in December 2008. He is ready to launch his own managerial career after briefly stepping into Moyes' shoes at Old Trafford and then serving as successor Louis van Gaal's number two, and he has been linked with a series of clubs in recent weeks. 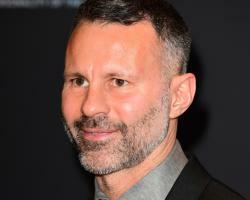 Giggs could yet find his way on to the shortlist, but, if he has already, he has not been made aware of it. Black Cats chief executive Martin Bain, aided by former Scotland boss Walter Smith, have spent the last week or so assessing their options and are understood to be close to beginning an interview procedure with prospective candidates. However, given the club's ongoing difficulties on and off the pitch, they are thought to be targeting experience for life in the Sky Bet Championship. Aberdeen boss Derek McInnes has emerged as a strong contender, while former Newcastle manager Alan Pardew continues to figure prominently in the betting, despite having ruled himself out of the race.